PuTTY is a terminal emulator. It enables you to log into another computer, which may be on the same network, or that could be accessed over the internet. The basic program has no security, but you can combine it with SSH to add on authentication and encryption to protect connections across the internet. The tool also includes a file transfer facility, which can be made secure by adding in SCP and SFTP. The original program was written for Windows, but now there are also versions that run on Linux and Unix. The program is old. It was originally released in 1999. Regular users have become reliant on the program despite its relatively unsophisticated interface. Nobody questions why the name is spelled with irregular case as “PuTTY.” No one questions what the acronym means — the name doesn’t actually stand for anything. The quality of network software has really advanced over the past few years and now there are some really good free terminal emulators available that are a lot better than PuTTY. KiTTY – Fork of PuTTY that includes SCP and runs on Windows, Linux, Unix, and Mac OS. MobaXterm – This tool is free for home use and has a paid professional version. It runs on Windows but supports Linux commands. mRemoteNG – Free Windows software that allows you to run multiple sessions in a tabbed interface. Bitvise SSH Client – A free utility that runs on Windows and includes three terminal protocols as well as SFTP. 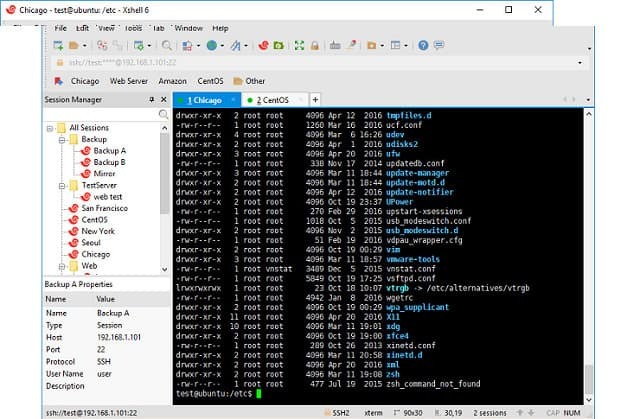 Xshell 6 – Free for home use with a paid version for businesses, this tool installs on Windows, but can communicate with Unix and Linux machines and it includes SFTP. 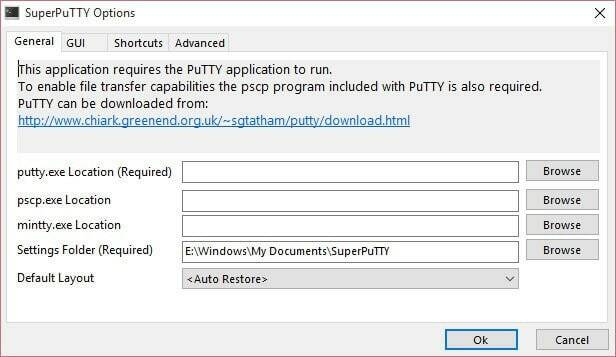 SuperPuTTY – Very similar to the original PuTTY, this tool is free to use, runs on Windows and includes SFTP and SCP utilities. PuTTYTray – A free, open-source utility for Windows that includes rlogin and a secure SSH option. Mintty – A free xterm-compatible copy of PuTTY 0.60 for Windows that has no file transfer modules. Cmder – An implementation of the ConEmu terminal emulator for Windows with a Unix-like scripting language. 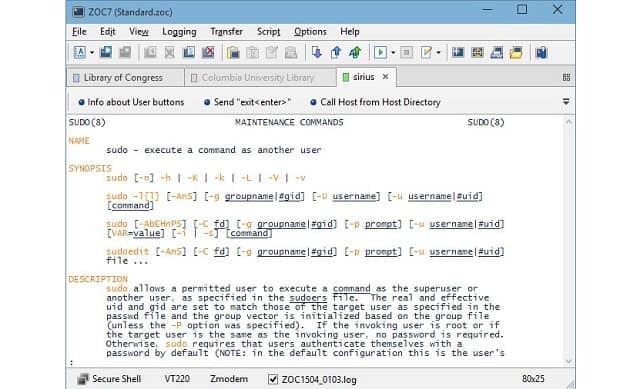 ZOC – A paid terminal emulator for Windows and Mac OS with rlogin and SSH connection options and an SCP utility. FireCMD – A paid utility with a ten-session free trial. The tool has a tabbed interface and allows multiple open sessions. ExtraPutty – A fork of PuTTY 0.67, this utility protects connection with 4096-bit RSA encryption, includes FTP, SFTP, and SCP, runs on Windows and is free to use. SmarTTY – A free SSH-based terminal emulator for Windows with a tabbed interface for multiple sessions and an SCP utility. Terminals – A free SSH-protected terminal emulator for Windows with extra network management tools. WinSSHTerm – An SSH-protected terminal emulator for Windows with both free and paid versions. 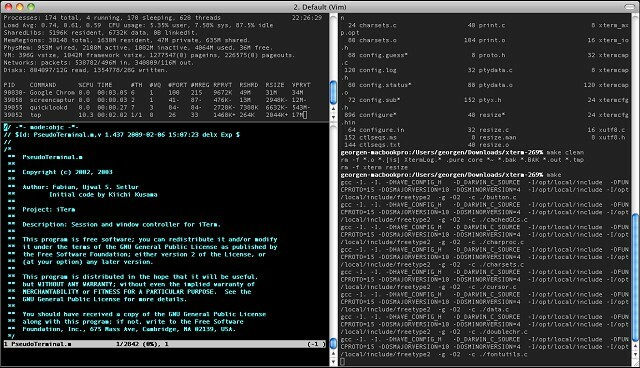 iTerm2 – This terminal emulator runs on Mac OS 10.10 and higher — includes a split screen interface for multiple concurrent sessions. z/Scope – A paid utility with a 30-day free trial specifically to connect to Unix and IBM AS/400 from Windows, Chromebook, or web browsers. St – A free PuTTY substitute for Linux that occupies very little disk space. WinSCP – A free Windows secure file transfer utility that includes an SSH-protected remote access facility. SolarWinds Solar-PuTTY (FREE TOOL) – An SSH utility for Windows that includes a protected terminal emulator plus SCP and SFTP. Console – A free, open source utility for Windows that includes CMD, PowerShell, Cygwin, and PuTTY. PromptPal – A paid unencrypted terminal emulator for Windows with a 30-day free trial. Rxvt-unicode – A small free terminal emulator for Linux that does not include encryption or any file transfer utilities. ConEmu – A free, unencrypted terminal emulator with Windows that has a tabbed interface to manage multiple simultaneous connections. OpenSSH – An open source encrypted terminal emulator with SCP and SFTP, written for Windows, Mac OS, Linux, and iOS. 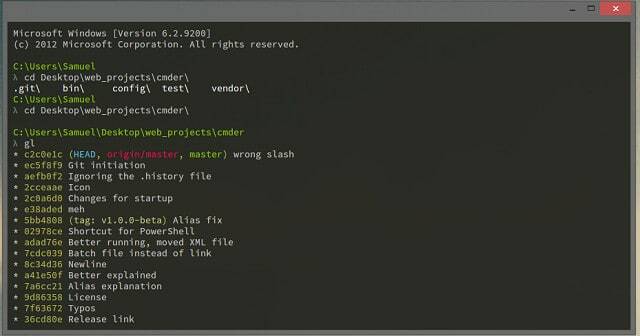 Hyper – A free open source extendable terminal emulator for Windows, Mac OS, and Linux. Guake Terminal – A free open source emulator for Gnome on Linux with a tabbed interface for multiple connections. Royal TS – A paid emulator for Windows, Mac OS, Android, and iOS with a free trial; terminal sessions and SFTP file transfers are protected by SSH. JuiceSSH – A free emulator for Android protected by SSH and 256-bit key AES encryption. Termius – An SSH-protected terminal emulator and SFTP system for Windows, Linux, iOS, and Android with free and paid versions. Here are more details of our list of PuTTY alternatives for SSH clients. Some of the criteria we took into consideration when ordering this list ware reliability, ease of use, ease of installation and depth of support and documentation, how up to date the tool is maintained and popularity of use within the undustry. KiTTY is a fork of PuTTY. That means that the source code of PuTTY was copied and altered some time ago to develop this separate utility. Since that copy was taken, the original program has been revised and updated. KiTTY also gets updated periodically, so this tool has gradually diverged from the functionality of the original PuTTY. KiTTY is only available for Windows and it is free to use. Although the interface only runs on Windows, you can log into remote computers that run Windows, Linux, Unix, and Mac OS. 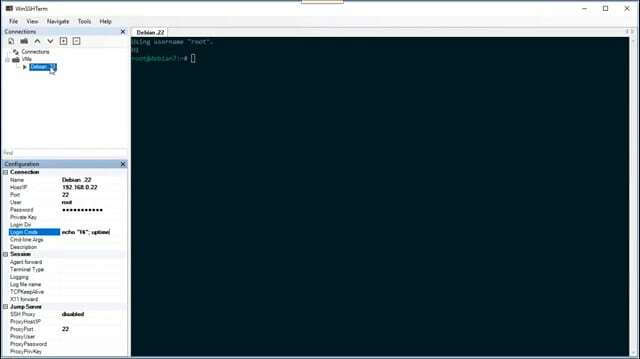 You can create scripts to log in automatically and run commands on the remote computer’s command line. The interface is able to represent multiple simultaneous sessions. The KiTTY interface includes two SCP implementations. These are pscp and WinSCP. The tool also includes a chat system and a text editor. 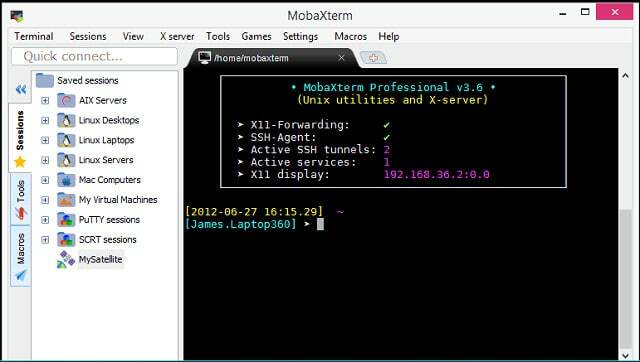 MobaXterm is free of charge for home use and there is also a paid version for businesses. This tool runs on Windows, but it supports some Unix/Linux command language. The interface manages the login process to remote computers and also integrates a file transfer system. You can open several SSH sessions, each of which can be accessed via tabs in the interface. The free version will allow up to 12 simultaneous sessions, but the paid version has no session limit. File transfers are handled via the SFTP protocol and the terminal session uses the X server system. The tool can be extended by plug-ins, which allow connections with other protocols, such as tunneling with HTTPS and you can also add on SSL. The mRemoteNG tool is free and the code is available for download because this is an open source project. This program is a fork of the original mRemote system. 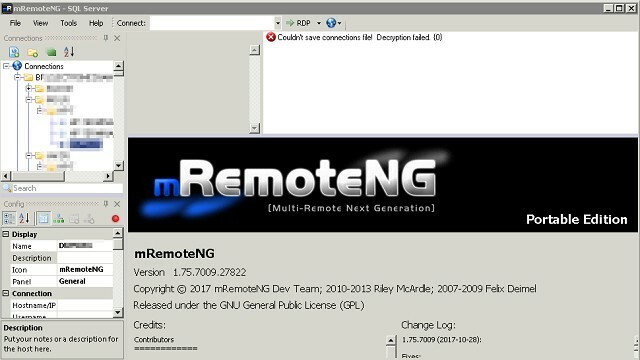 The name of mRemote denotes “multi-remote” sessions. So, that tells you that it is possible to create several remote terminal sessions with this tool. As with many other tools in this list, the multiple sessions are accessed through a tabbed interface. The tool runs on Windows and it includes a range of communications system. Some of these are not secure and should not be used to access remote computers over the internet. Examples of those insecure systems are RDP and rlogin. However, you can use SSH with this interface and HTTPS. Unfortunately, mRemoteNG doesn’t include a secure file transfer utility, however, it works well as a free SSH client. 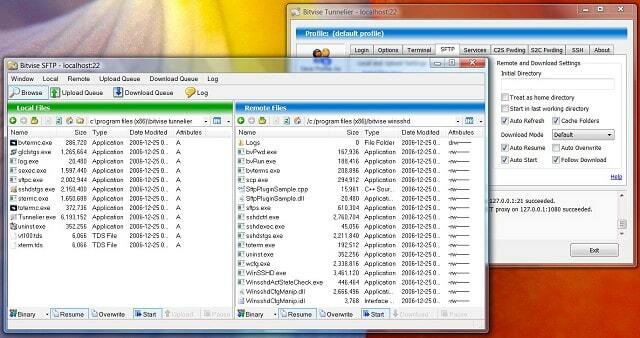 Bitvise SSH Client is free to use and runs on Windows. The tool includes both a terminal function and a file transfer system. The terminal emulator uses xterm, vt100, and bvterm protocols. The file transfer utility uses SFTP secure methods. Both the terminal emulator and the file transfer facility are protected by SSH authentication and encryption systems. Connections can be tunneled through a proxy and you can add on extras to improve security in addition to RSA or DSA encryption. Port forwarding is also possible through the client’s interface settings. The command line version also enables dynamic port forwarding and an FTP bridge. All in all, this is a very handy Windows SSH client. Xshell is free for home use and there is a paid version for businesses. This tool runs on Windows, but it can communicate with Linux and Unix servers. Security options let you choose between SSH1 and SSH2. There is also an rlogin option. However, that doesn’t include encryption, so you would be better off sticking with the SSH session options. The tool is able to give you a terminal on to remote computers and it will store your credentials in encrypted format for frequently-visited servers. You can open multiple connections and switch between them, using the tabs that display at the top of the interface terminal window. The file transfer function that is built into Xshell uses the SFTP system, which is secure. SuperPuTTY is a very close copy of the original PuTTY. In fact, it is a replacement of the interface of PuTTY and requires the original program to be installed and operational. It is an enthusiast-written utility that runs on Windows and is free to use. The SuperPuTTY interface enables multiple session, with each connection running in a tabbed page. The terminal protocols that the program offers are SSH, Telnet, rlogin, and RAW. The SSH option is the better choice because it includes user authentication and encryption. Secure file transfer functions follow the SCP and SFTP methods. PuTTYTray is an open source project with the code available for download at the GitHub website. The program runs on Windows and is free to use. This tool very closely mimics the original PuTTY with a few added extras. You can set the program to run on system startup, and it will minimize to the system tray when not in use. You have a choice of using the secure SSH system or the unprotected rlogin. PuTTYTray doesn’t include a file transfer function. 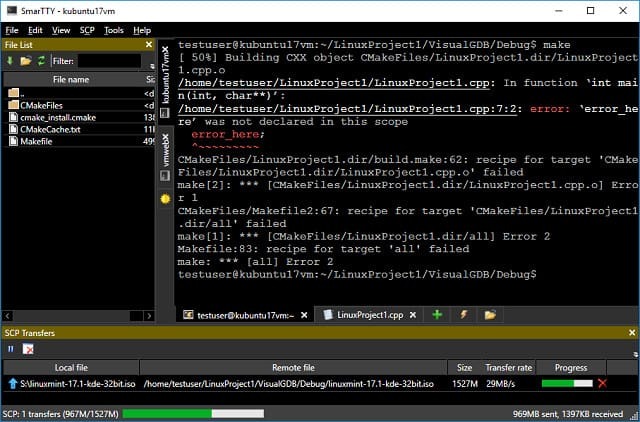 Mintty is an xterm-compatible terminal emulator for Windows. The program is free to use and you can also access the source code if you plan to adapt the software to your own design. The program is lightweight and avoids making any registry entries by storing its configuration in a file. Mintty was developed from the code of PuTTY 0.60. There is no file transfer system in this tool. Cmder is a straight-forward terminal emulator for Windows. The program runs on Windows and it is a combination of the ConEmu terminal emulation program with a Unix-like scripting language that works on Windows. The terminal emulator doesn’t have any encryption, so it would only be suitable for connections on private networks. The tool also lacks a file transfer system. ZOC is a terminal emulator for Windows and Mac OS. The software is free to use and, although it can’t run on Linux, it can connect to computers running that operating system. The system includes a powerful scripting language that can help you automate processes such as information gathering on remote systems. 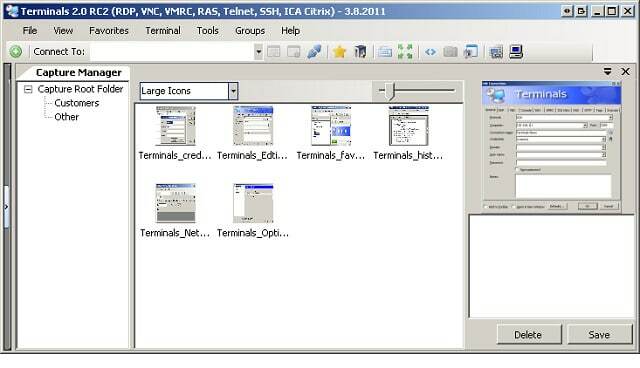 The terminal emulator can be set to use the xterm, VT220, Wyse, QNX, TN3270, or TN5250 standards. The interface allows multiple sessions to be open simultaneously. Security for connections is provided by SSH. Unprotected connection methods, such as rlogin are also available for private networks. ZOC offers a wide range of file transfer standards that includes Kermit, Xmodem, Ymodem, and Zmodem. However, the option you should probably select for file transfers across the internet is ZOC’s SCP implementation. Unfortunately, ZOC is not free. The software is distributed by a company in Europe and another in the USA, so you can choose to pay in Euros or US Dollars. FireCMD is another paid alternative to PuTTY. The tool is a product of Brainsoft and you can get it on a free trial. The free trial lasts for ten launches. So, if you keep the program open for a long time, you will get the most out of the free offer. FireCMD is short for the real name of the tool, which is Fire Command. The tool allows you to open simultaneous terminal sessions in tabbed pages. It also includes a text editor. There is no file transfer facility in the tool, but you can copy and paste through the interface. FireCMD remembers your previous session when you connect to a server and navigates to the directory you were in when you closed your last session on that computer. It also stores the command history from the last session. ExtraPuTTY is a fork of PuTTY version 0.67. It only runs on Windows, but it is free of charge. The interface integrates 4096-bit key RSA encryption. That’s very strong because longer keys make it harder to crack a cipher, and a 4096-bit key is very long. The interface includes a scripting language, called lua 5.3. You can also create keyboard shortcuts and automatic logon scripts to speed up your work with the tool. The terminal emulator can be run along the Xmodem, Ymodem, and Zmodem standards and the file transfer options include SCP and SFTP as well as FTP. SmarTTY is free and runs on Windows. This SSH-based terminal emulator also includes the secure SCP file transfer system. A lot of PuTTY alternatives employ tabs to allow you to access several sessions in the same panel of the interface. However, SmarTTY has an unusual design. Rather than arraying the tabs along the top of the display panel, this tool’s designers placed the tab space along the left side and the bottom edge of the screen. An index panel to the left of the main terminal screen shows the directory structure of the computer in the currently displayed session. This directory explorer is responsive, so you can move through the file storage by clicking on the directory icons. SCP is a secure file transfer system, but it doesn’t have many functions — just a straightforward copy to, or copy from action. SmarTTY adds usability to SCP by enabling you to move whole directories at once. A couple of other useful features of this tool are an embedded file editor and a hexadecimal terminal type to monitor traffic on ports. 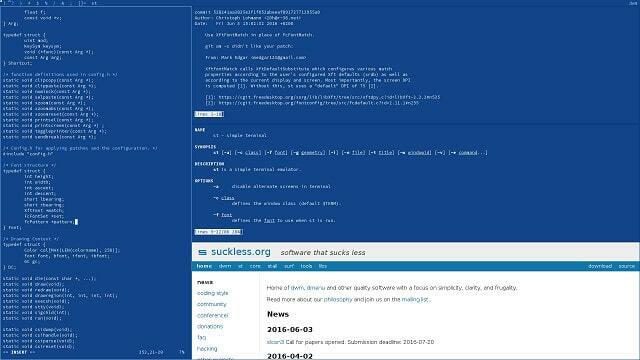 Terminals is a free, open-source PuTTY substitute that runs on Windows. The security of this terminal emulator is provided by SSH. 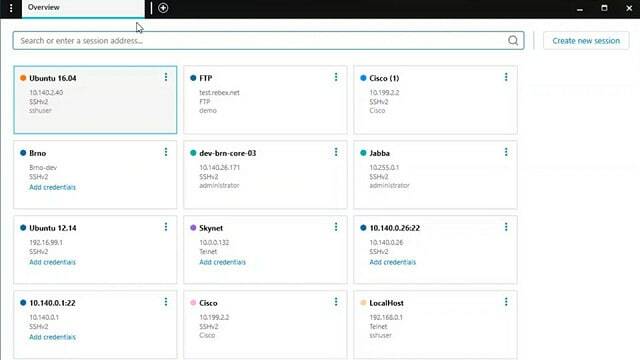 So this is a great way to get full Secure Shell protection with your SSH session.The interface allows the display of multiple simultaneous connections through a tabbed layout. You can choose to show the current open window in full-screen mode to make it seem as though you really are working directly on the remote computer. Other terminal features include a connection log, screen sharing, and a screen capture tool, all protected by remote SSH. The console has integrated network analysis tools that include Ping and Tracert. There are also DNS querying functions, a port scanner, and Wake-on-LAN capabilities. WinSSHTerm, as the name suggests, is a Windows SSH client and is available in two versions: free and paid. The terminal emulator is protected by SSH. The screen can contain many sessions thanks to tabs in the display window and you can also open a tab in a new window. The tool is password-protected, but you can share screen views in the tool with others. A secure file transfer utility is supplied by WinSCP (see below). The SCP session opens within the connection in the current open tab, which means that you don’t have to log in again in the file transfer utility. 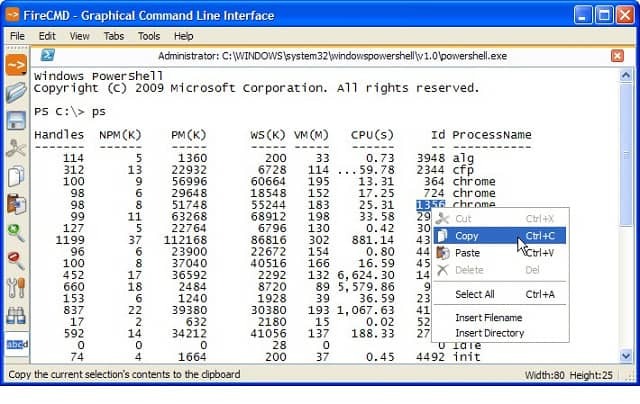 Users like the keyboard shortcuts of this tool and the fact that the executable can be run from a USB stick. The iTerm2 system is available for Macs. Specifically, the program can run on Mac OS 10.10 and higher. This interface shows different terminal sessions through a split screen method, allowing you to tile sessions side by side. To lessen confusion, the active panel shows in full resolution, while the others dimmed. You can set up keyboard shortcuts to navigate through the functions of the tool quickly. The current session text can be searched with a search text field that is embedded into the upper frame of the session window. The emulator also remembers previous commands issued in the session and offers a popup with autocomplete suggestions when you type in a new command. A recording function lets you watch though a replay of everything that has happened in the session. The interface includes a password manager to securely store your credentials for all of the computers that you log into remotely regularly. The tool doesn’t include a file transfer utility. The z/Scope terminal emulator is written to run on Windows, ChromeBook, and web browsers. The tool specializes in connections to Unix and IBM AS/400. This utility is not free, but you can get it on a 30-day free trial. Connections are protected by SSL/TLS security. There are five different editions of z/Scope and only three of them integrate SSH. All versions use a tabbed layout to allow multiple simultaneous sessions to be viewed in the same window. Only the web version of z/Scope includes a file transfer function. Users of the Classic edition can pay extra to get file transfer capabilities added. However, the utility available is FTP, which is not secure. The developers of st aimed to produce their own terminal emulator code instead of relying on traditional terminal protocols, such as xterm. Their motivation for this work is that they believe the regular terminal emulation systems are over-engineered and inefficient. The assumption is that st’s tight and effective code will use a lot less of your CPU and memory than the more widely-distributed staple emulators. This is an open source project and the PuTTY substitute is free to use. It was written to run on Linux. 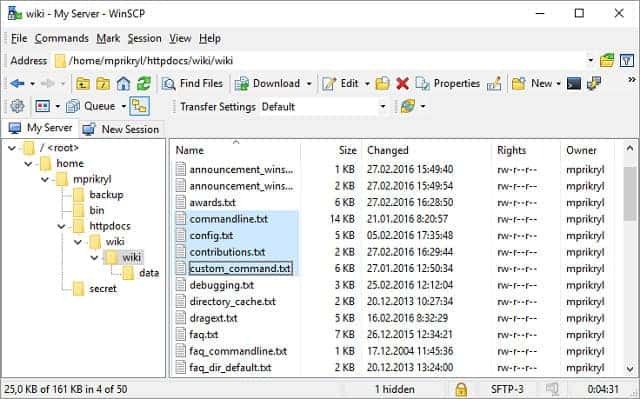 There isn’t any file transfer facility included with st.
WinSCP is a file transfer utility, written for Windows. The utility is free to use and it has been downloaded more that 113 million times to date. SCP, which is the protocol that the tool is based on, doesn’t include any capabilities to issue commands on the remote computer, so you would think that it would not be a very good basis for a PuTTY replacement. This is a very popular tool and it offers more than just SCP. The tool also includes FTP, SFTP, and WebDAV implementations. Fortunately, for this review of PuTTY substitutes, the tool includes a remote command facility. This is an SSH-protected remote access system. SolarWinds is one of the world’s leading network software providers. The company excels at producing infrastructure monitoring tools. The company got to the top of the market by providing very high-quality tools. You would expect to pay top dollar for this level of software. However, sometimes, the user community gets lucky and SolarWinds decides to release a very useful tool for free. This is the case with the Solar-PuTTY utility. This secure terminal program runs on a Windows environment and integrates the security of SSH. As with the original PuTTY, you can use this tool to log in remotely to a computer. You can also use it to transfer files. Solar-PuTTY integrates SCP and SFTP for secure file transfer and also has an implementation of the classic Telnet system. You can download the program file from the SolarWinds website. This is not an installer, but the tool itself. You just need to click on the file to open up the application. You can open several terminal sessions simultaneously with the tool. Each session opens a new tab in the interface. The interface will store your credentials for the servers that you log into regularly and sign you in automatically. The interface gives you the option to color-code each session so you can distinguish between them. It is also able to re-establish a link and log you in again if a connection gets dropped. There are many programs that will function as terminal emulators and the most common security method out there for protecting remote access is SSH. Here are ten more terminal emulators that you could check out. Console is free, open source, and written for Windows. It runs CMD, PowerShell, Cygwin, and PuTTY, but no file transfer utility. Promptpal is written for Windows, and is not free but has a 30-day free trial. It has no encryption and no file transfer utility. Rxvt-unicode is a free, lightweight emulator for Linux. It has no encryption and no file transfer utility. ConEmu is a free terminal emulator for Windows. It has a tabbed interface for multiple simultaneous connections but has no encryption or file transfer option. OpenSSH is a widely-used open source free emulator for Windows, Mac OS, Linux, and iOS. It is protected by SSH and incorporates SCP and SFTP for file transfers. Hyper is a free open source emulator written for Windows, Mac OS, and Linux. It can be extended with add-ons, but has no encryption or file transfer option. Guake Terminal is a free, open source emulator for Gnome on Linux. It has a tabbed interface for multiple connections but has no encryption or file transfer option. Royal TS is a paid emulator with a free trial. It runs on Windows, Mac OS, Android, and iOS. It has a tabbed console for multiple sessions, and has SSH protection and SFTP for file transfers. JuiceSSH is a free emulator for Android. It is protected by SSH and AES encryption with a 256-bit key, but it has no file transfer options. Termius is a free and paid terminal emulator for Windows, Linux, iOS, and Android. It has SSH protection, and SFTP for file transfer is available in the paid version. The market for terminal emulators is very well supplied. As you can see from our list, the category of PuTTY alternatives for Windows is oversupplied. Although this list of options seems very long, there are actually a lot more out there. Don’t worry about whether or not there will be an SSH server when you try to create a remote SSH session because just about every operating system has SSH capabilities. Remember, if you are connecting over the internet, you should only choose a terminal emulator that is protected by encryption. The same advice also holds true when you transfer files across the internet – don’t rely on FTP, use SCP or SFTP. You certainly don’t need to stick with PuTTY just because you’re used to it. There are lots of better systems out there and most of them are free. Just about all of the paid options offer free trials. So, explore these alternatives to PuTTY and you will find a remote access system that beats PuTTY and wins your admiration. Do you have a favorite terminal emulator? Are you determined to stick with PuTTY? Leave a message in the Comments section below and share your experience. I manage many many different systems over SSH on a daily basis. The bane of my day is using different computers and never having all my defined PuTTY sessions. Do any of the listed SSH clients allow a form of cloud-stored profile, so all my connections/profiles can follow me around? In other words, a single config in the cloud allowing me to run the SSH client from anywhere and have access to my config? Hi, we are using WinSSHTerm and its shared connection file feature. My collegues and I are all using this shared file to make sure we have identical connections. We share the file by putting it on a webserver.